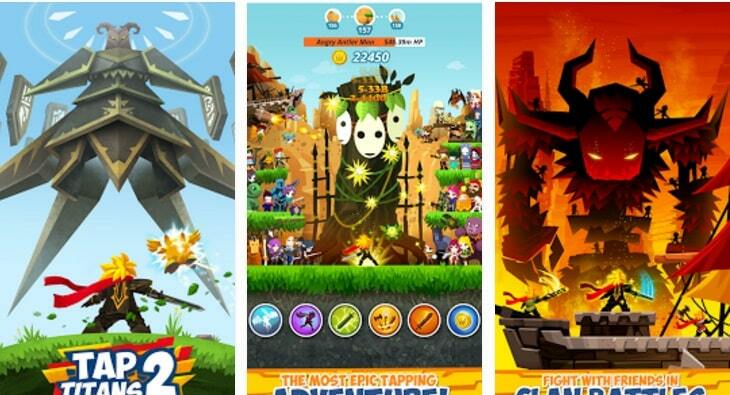 Created by Game Hive corporation as a continuation of the original Tap Titans game, Tap Titans 2 works on the same basic principal. A downloadable online game generally found in app stores or available from online merchandisers. What are the features of Tap Titans 2? · A game that allows you to create your own avatar like character to fight monsters, earn coins, and advance to higher and higher levels. · The game will get steadily more difficult as you progress through the many levels of the game, every monster you fight will earn you coins and every monster you succeed in defeating will bring you even more. · While the game itself is free, you can purchase additional weapons, supplies and power from an online store connected with the game. If you do not want to pay out of pocket, then you can wait until you have earned enough coins from simply playing the game to purchase what you need. · You can play the game as a single player or connect with friends or fellow players to unite against the horrifying monsters you will face. · You will also have the ability to change your location and your environment in the game as you progress from one level to another you will unlock certain territories in order to earn more coins as well as additional weapons. 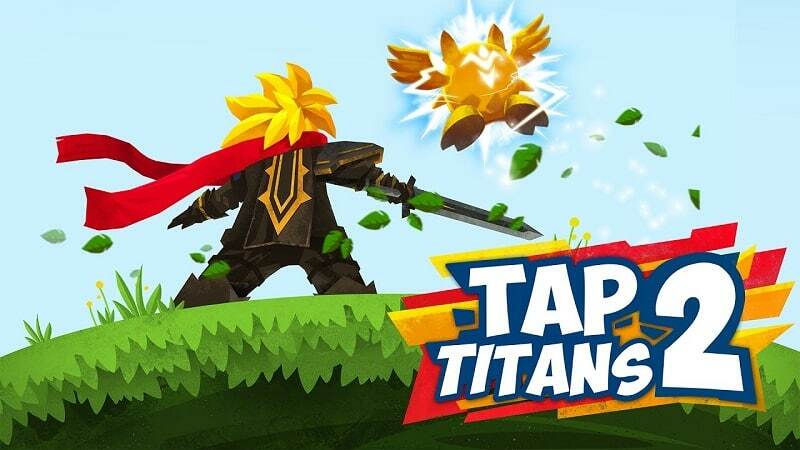 · Tap Titans 2 does have the same sophistication as other multi-player online games, the graphics are still good and the game is easy to play. · Tap Titans 2 is extremely user friendly and contains online guides to assist you in setting up the game, setting up your specific character, and setting up the ability to connect with other online players. How much does the game cost and where can I buy it? Tap Titan 2 is free and can be purchased either from Google play, Apple iTunes, or online for PC. You can also purchase the game from the website of the game manufacturer Game Hive. Is it easy to install on a PC? The installation is fairly simple though I will add that this game will only download on to computers that come equipped with Windows 7, Windows 8.1/8, Windows XP or MAC OS, no earlier software models will be compatible with this game. Do I need to purchase any additional software or gaming equipment? Tap Titan 2 works completely from your computer’s key board and does not require the purchase of any additional technology such as consoles or hand controls. You do not need to purchase any additional software for MAC computers or laptops, but for PC’s and androids you will need to download an app program called Bluestacks App Player, once this is downloaded you will be able to download Tap Titan 2 as well as many other free games on to your PC. Detailed instructions for downloading both the app player and the game can be found on this website in the section reserved for downloading instructions. The process is simple and shouldn’t take more than a few minutes to an hour based on your operating system. Sometimes when playing Tap Titans 2, bluestacks ask you fee to pay but gives you option to download some apps. Every time it asks you just select “Install apps” and continue using it free. I hope you enjoyed this article, please rate and share. If you have problems running Tap Titans 2 on desktop or any other issues, leave a comment below.